Many people have heard of Our Lady of Guadalupe, but few people know her story. 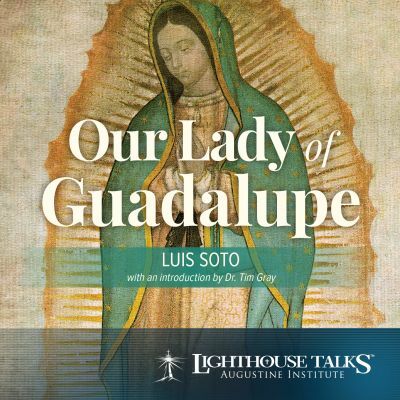 In this talk, speaker and catechist Luis Soto (who himself was born and raised in Mexico) shares the little-known history and life-changing importance of Mary’s appearance to a peasant man named Juan Diego, and the miraculous image she left behind. Loved by millions (including St. John Paul II), Our Lady of Guadalupe is a patron and example of how to share the Gospel with the whole world. AVAILABLE AS AUDIO CD ON JANUARY 1, 2019. AVAILABLE NOW AS DOWNLOADABLE MP3. “Advent: Rethinking the Season by Dr. Tim Gray“. It is available now to the general public both in both CD or as downloadable MP3.